I neglected to take very many pictures throughout the evening - oops. I guess that's a sign of having a blast! It was a total success, even if my favorite didn't win the gold man. 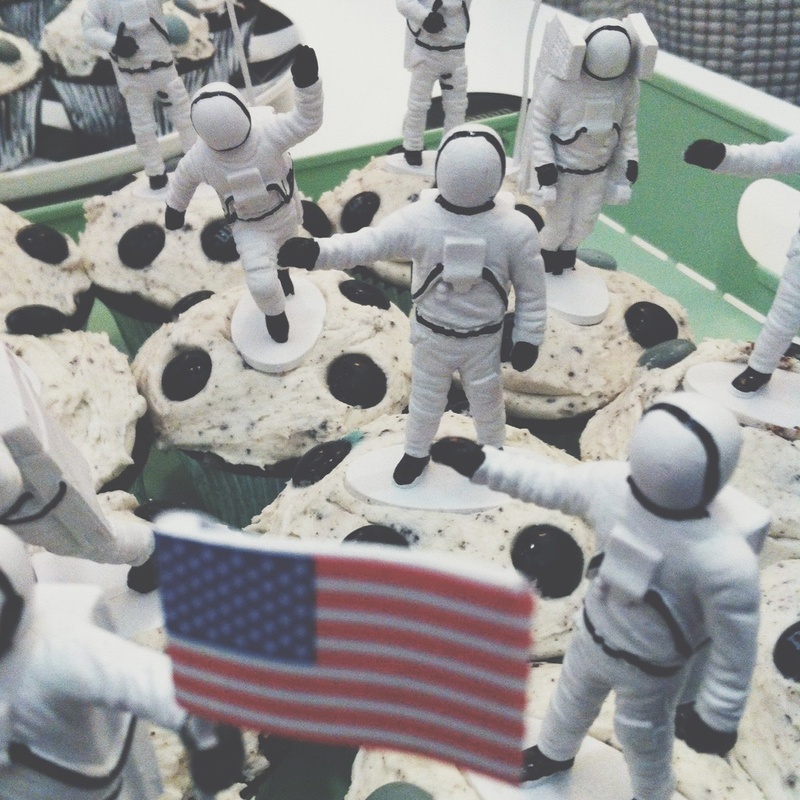 We had our guests bring an appetizer themed off of one of the films nominated for best picture. I loved seeing their creative appetizers! I was in charge of the desserts. 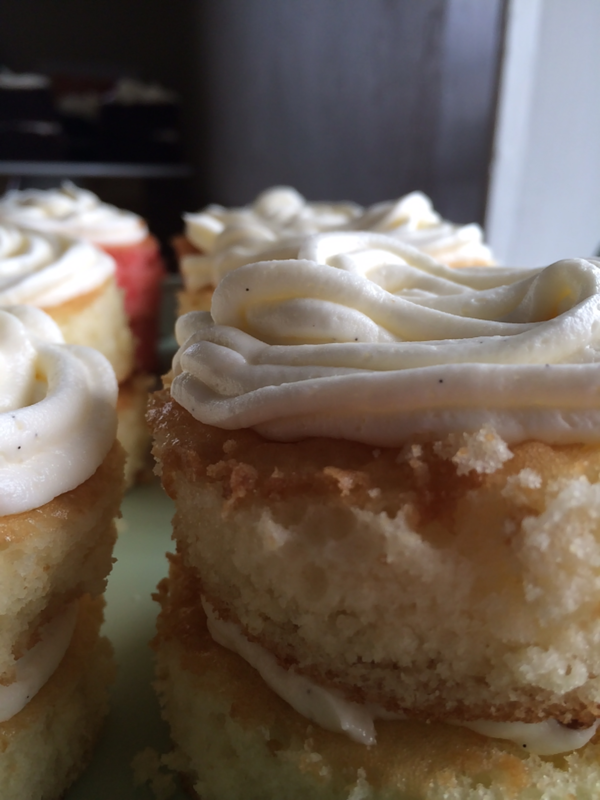 We had some double layer cakes for each guest - they were supposed to be a lot smaller than they turned out, but hey, no one is complaining about having too much cake. I also made some chocolate covered strawberries. 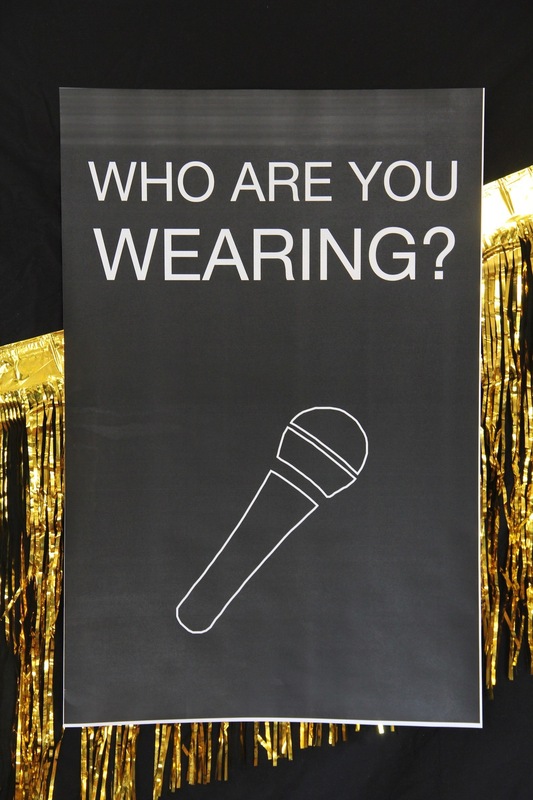 We had metallic fringe, balloons and the posters as the decor. The kids loved their walk of fame stars too! 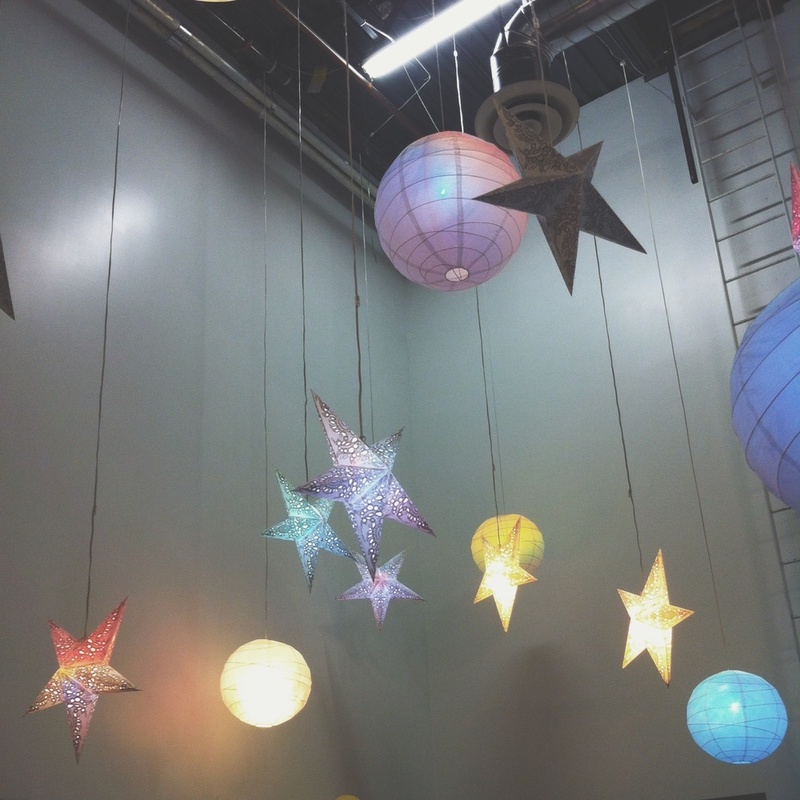 They quickly saw that there was a star for each of them with their name on it and as predicted, they were thrilled. As for the Oscars themselves, Ellen rocked it. It felt like the most put together and seamless ceremony to date. I don't think I even saw the actors or actresses mess up by walking off stage the wrong way. There was also no music to tell the winner(s) to stop talking and get off the stage. At least not that we noticed, and it was kind of nice. Let the winners bask in their 58 seconds of glory on stage! Throughout the show we grownups played a game of Oscars bingo which was a lot of fun. I found the bingo cards over here for download. It was a really great night. I wish the Oscars happened more often! I mean, how could we not have a blast with friends who show up as super stars with their own paparazzi? It was a very good time. There has been a whole lot of black and gold this week. Next up, rainbows and green for St. Patrick's day! 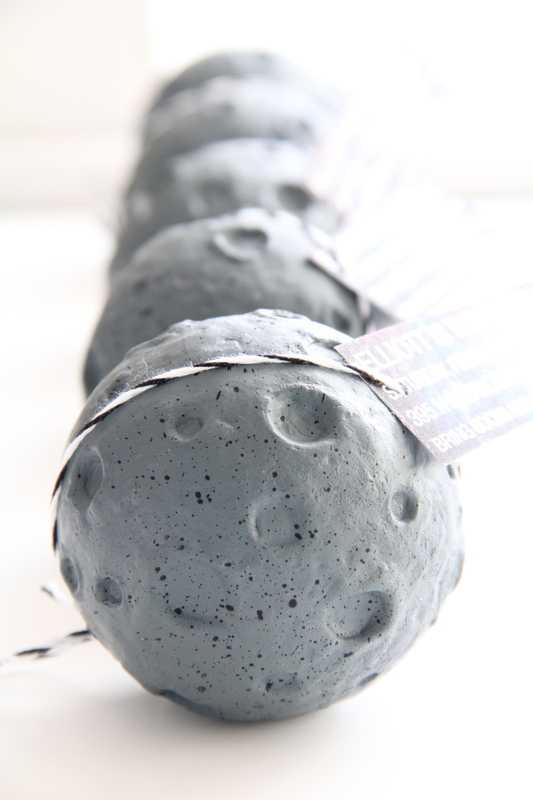 But before we move on, we have one more craft for your Oscars party. To match our little party cups, I decided to make these balloons too! The same basic idea as the cups, but a little more fun because, well, they're balloons. If I could have found gold contact paper, you better believe I would have been adding gold statues to the black balloons too! I think these will be fun to have at our party this Sunday. The great part about contact paper is it's so easy to work with. If you place it crooked, you can easily reposition it. 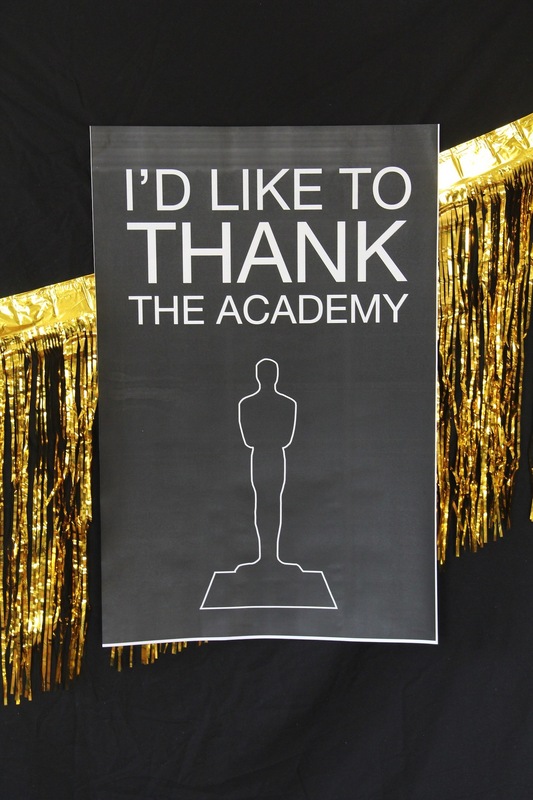 Whether you will be watching the Oscars this Sunday or not, I hope you have a great weekend! 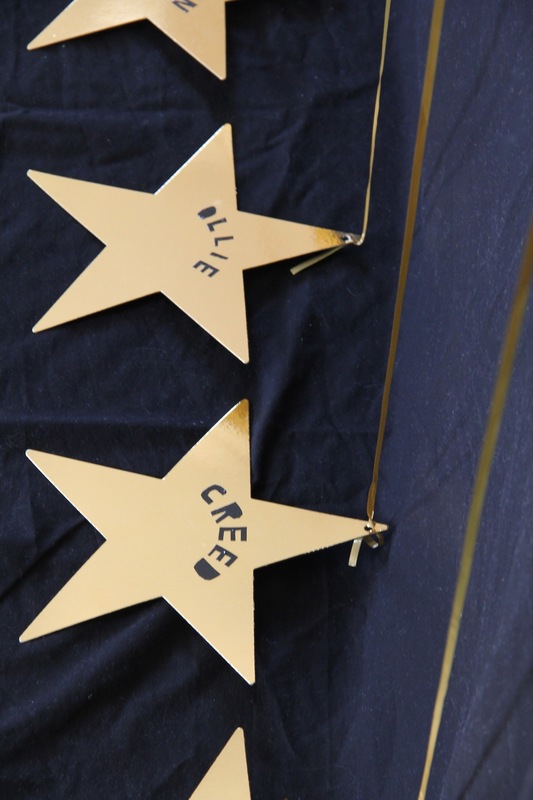 For our upcoming Oscars party I thought it would be fun to give the kids their own "walk of fame" of sorts. 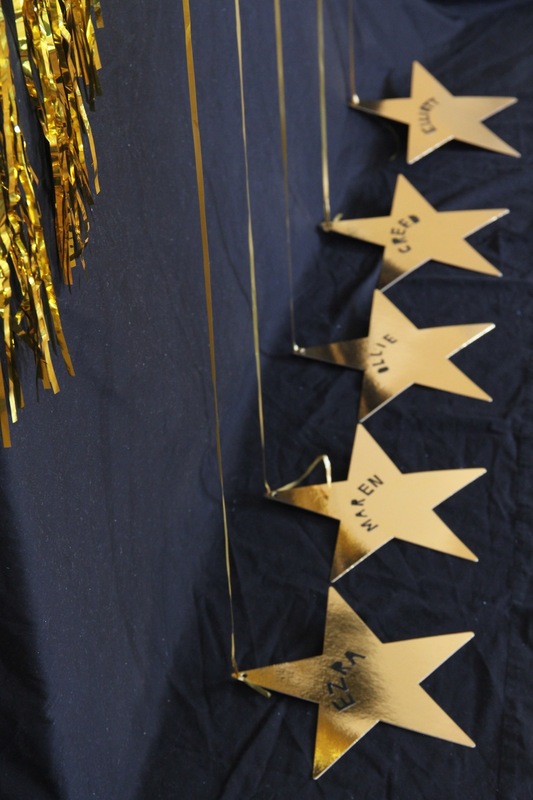 Originally I was going to make the stars out of cardboard and gold duct tape, but then I saw these stars at the party store on sale and thought I would save myself a few minutes. They even come with holes at the top, waiting to be attached to a balloon! To make the names, I just used black duct tape and cut the letters out by hand. You could draw them on with marker, or have kids write their own names! I have said it before and I will say it again. Kids love seeing their own name. They love it. 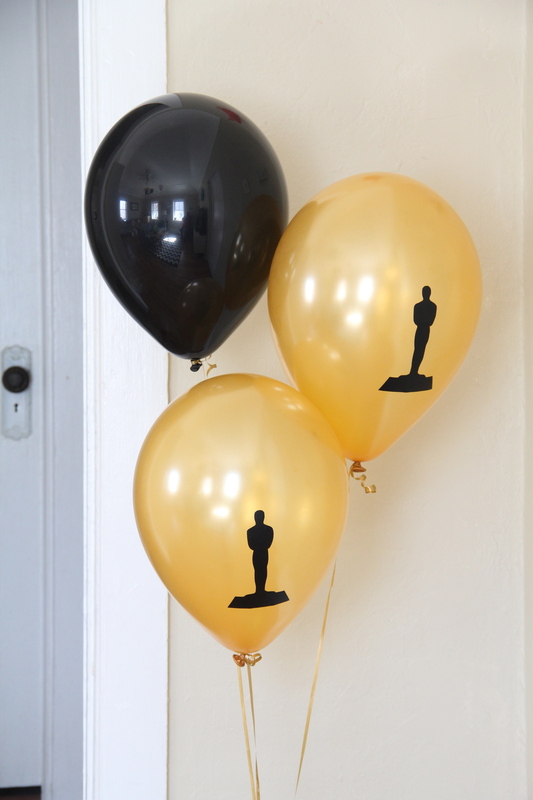 I'm pretty confident these balloons will be a hit with the kiddos at our Oscars party this weekend. We are in full oscars party mode. Well, I am. 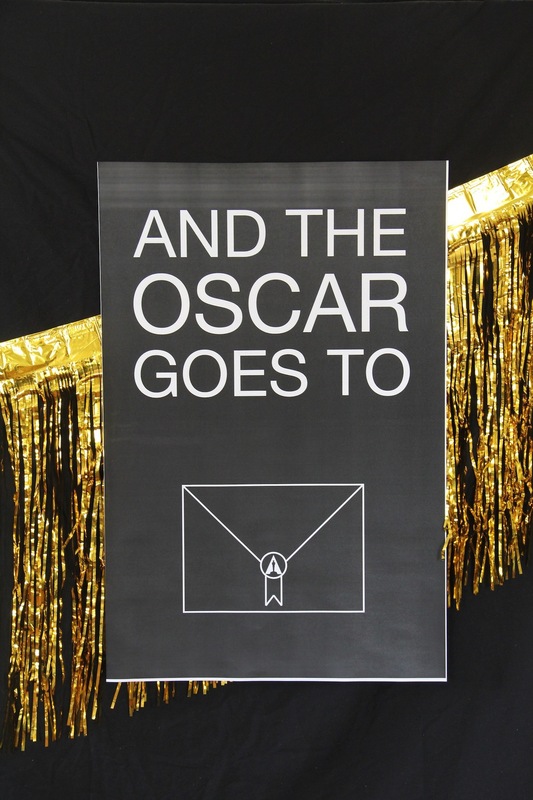 I have a couple of fun DIYs and downloads coming up over the next few days to help make your oscars party awesome. 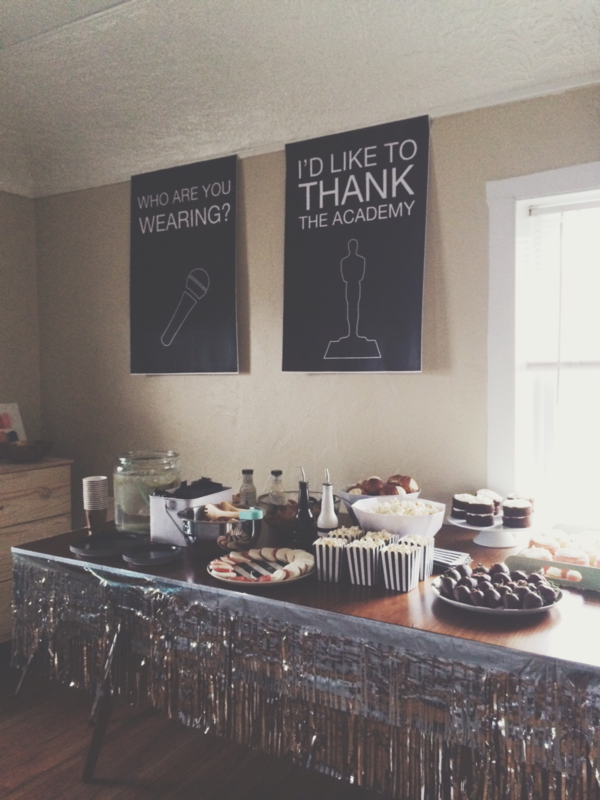 And if you weren't planning on throwing an oscars party, you probably should. These cups are really easy to make and will make all of your party guests feel like a winner. The little statue silhouette you can download here. Just print it out onto some card-stock, cut it out and use it as your template. 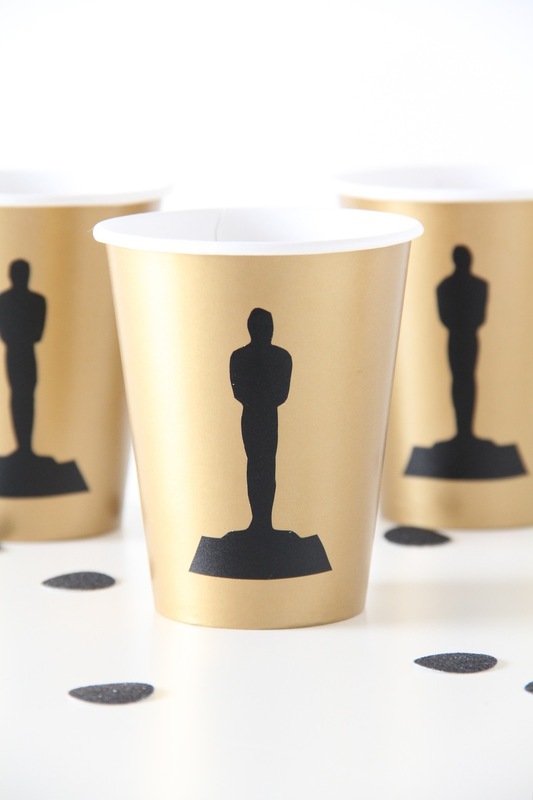 Here is what you will need to make your own award worthy party cups! Print out the template, cut it out and trace it onto the back of a piece of the black contact paper. Then cut out your silhouettes and stick them onto the cups! Seriously easy, folks. 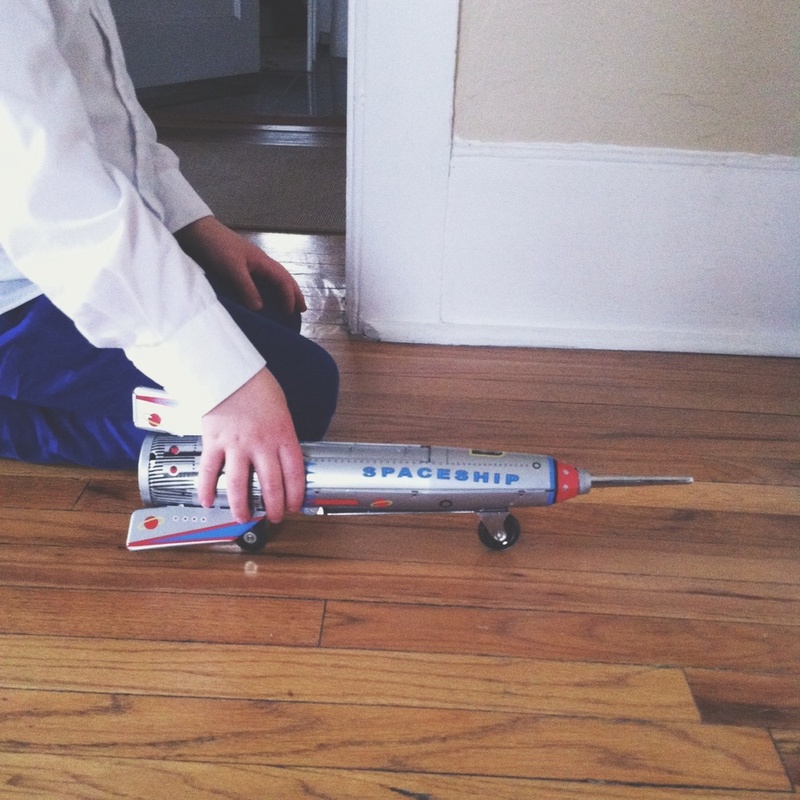 My boy is officially five years old and I have some serious mixed feelings about it. Part of me wanted to leap for joy for him while the other part sobbed into a pillow. How on earth is he five? I still can't believe it. To celebrate our little man we had a party and a picnic. 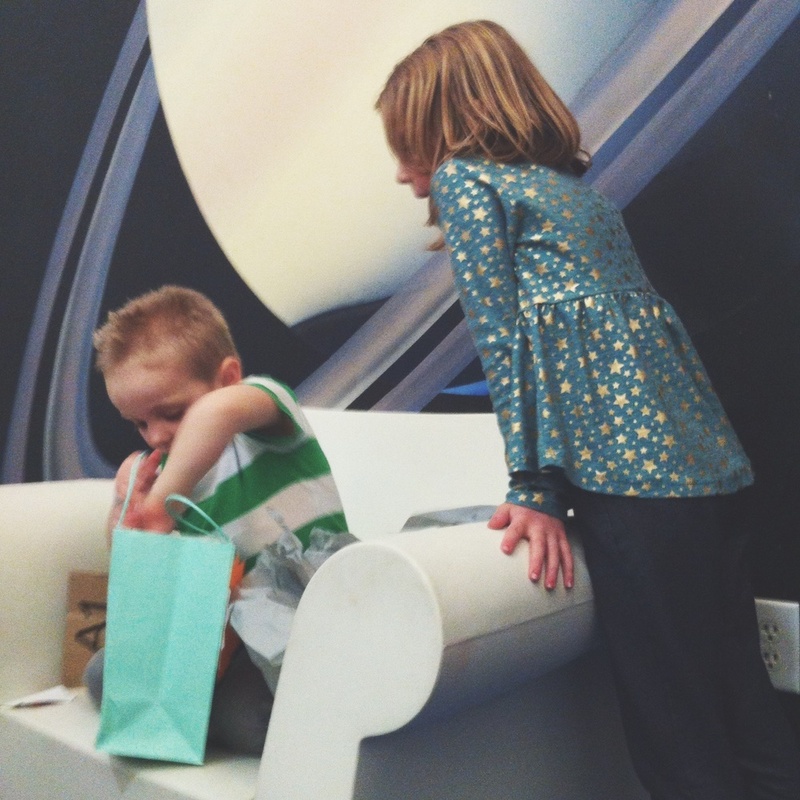 He wanted a space themed birthday party and luckily the place we wanted to have the party has a space themed party room. It was meant to be. The kids got to play till their little hearts could take no more, then we moved into the party room for cupcakes and gifts. I normally would throw the party at our house, but this was a nice change of pace. It was so much easier than worrying about cleaning, decorating, preparing food, etc. Not to mention our place is pretty small so parties feel a bit like sardines in a can. 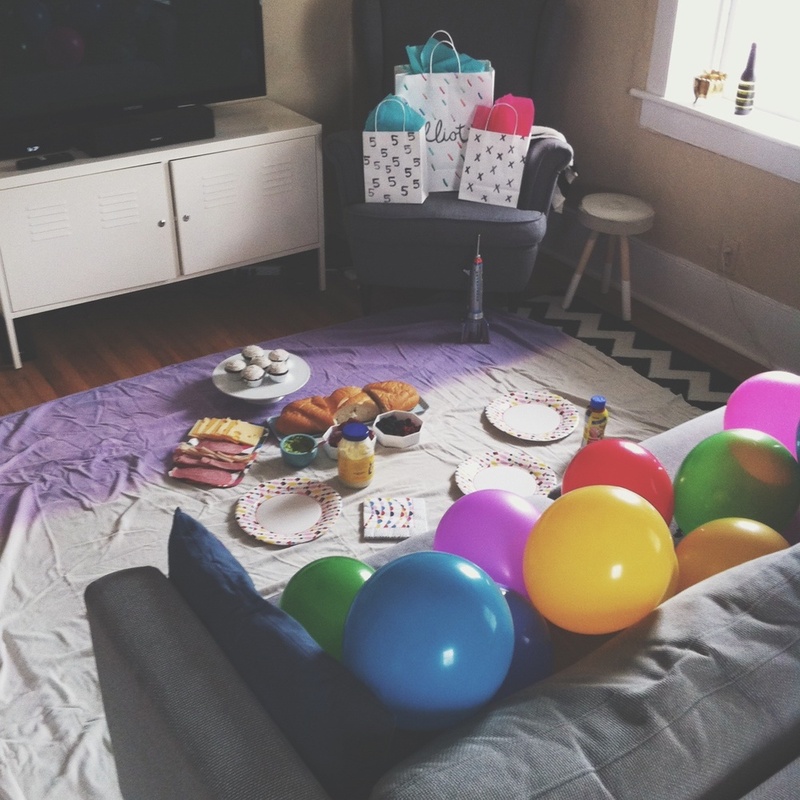 On Sunday - his actual birthday - his only request was to have a picnic in the living room. Done! It was so easy and a lot of fun. He loved every minute of it. Here are a few pictures from his birthday weekend. You love that crazy hair, don't you? He did too. Happy birthday, Elliott! We are so happy to call you ours.